Plants can't do without phosphorus. But there is often a 'withdrawal limit' on how much phosphorus they can get from the soil. That's because phosphorus in soils is often in forms that plants can't take up. That affects how healthy and productive the plants can be. 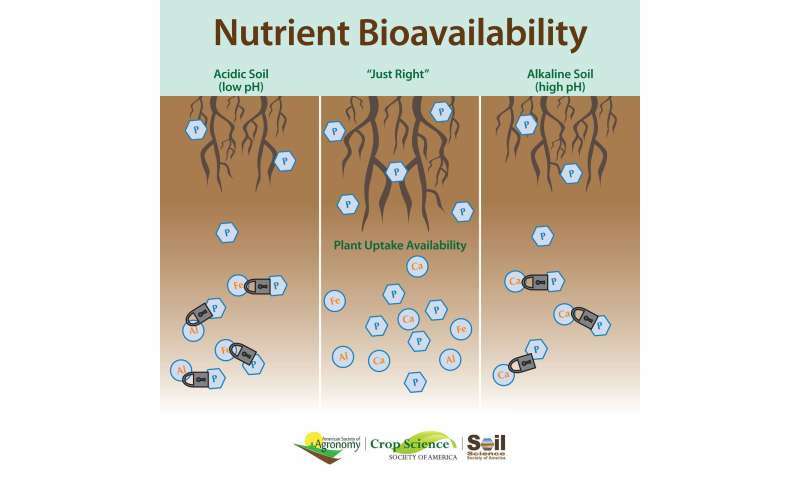 One influence on phosphorus availability is the soil's pH level. "Phosphorus is most available to plants when soil is at a 'Goldilocks' zone of acidity," says Andrew Margenot. Margenot is a researcher at the University of Illinois at Urbana-Champaign. There are ways to make more phosphorus available to plants. For example, adding lime (calcium hydroxide) reduces soil acidity. That can unlock the phosphorus that was previously unavailable. This is a common practice. "Liming is a bread-and-butter tool for agriculture," says Margenot. However, liming can influence other ways by which phosphorus might become available to plants. Enzymes, called phosphatases, are also known to influence the amount of phosphorus available to plants. Margenot's study looked at liming and soil management history to see if it influenced the activity of soil enzymes. This was unexpected. "We know that phosphatases are sensitive to soil acidity levels," says Margenot. "Our findings show that it is more complicated than just soil acidity when it comes to these enzymes." And more surprisingly, changes in phosphatase activities after liming depended on the soil's history. This suggests that the sources of these enzymes (microbes, plant roots) could have responded to different fertilization histories by changing the amount or type of phosphatases secreted. Furthermore, in all cases, the increases in phosphorus availability were relatively small. "In the soils tested, lime alone was not enough to be meaningful to crops and thus farmers," says Margenot. 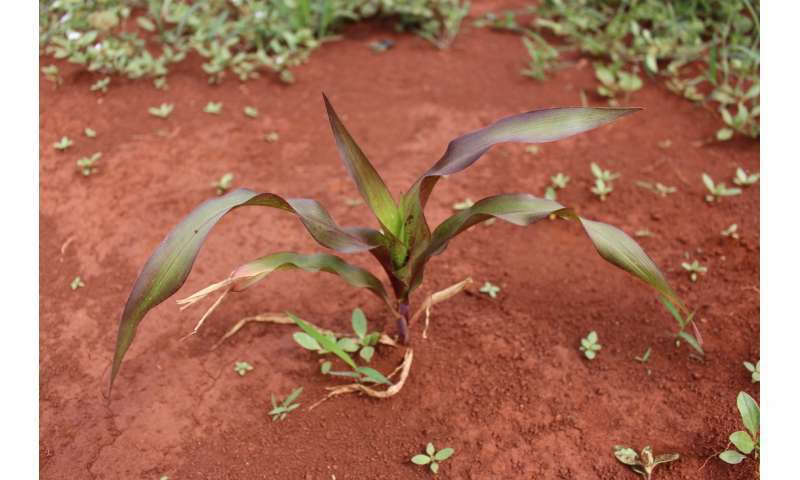 "Lime needs to be combined with added phosphorus to meet crop needs in these soils." Margenot is now working to extend this study. 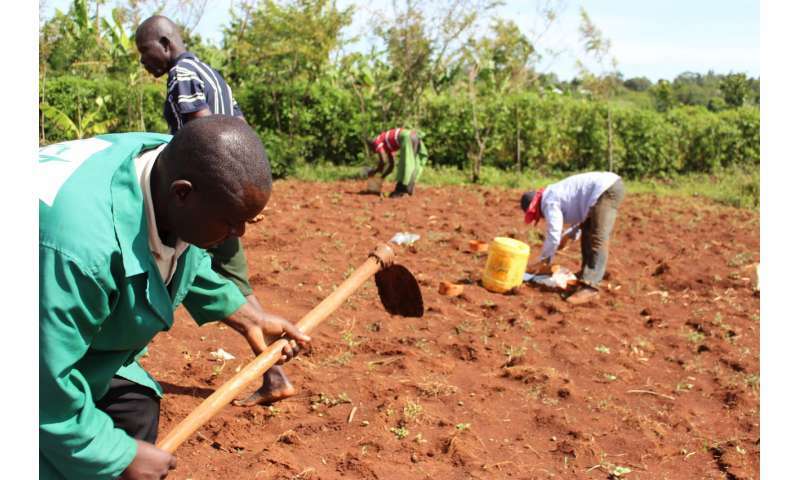 With colleagues from the International Center for Tropical Agriculture (CIAT) and the German Society for International Cooperation (GIZ), he'll be studying western Kenyan farms. The goal is to see if using lime at rates realistic for growers will have soil health trade-offs in these weathered soils. This research is published in Soil Science Society of America Journal.